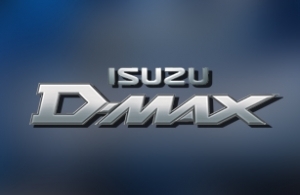 In 2012,an advertising company, major partner of intros.gr, designed a promotional campaign for Isuzu D-Max, part of which was a Facebook competition. The development of both the campaign and the competition were assigned to intros.gr. The promotional campaign tried to prove that Isuzu D-Max has the lowest fuel consumption in its category. , They desided to fill the fuel tank of Isuzu D-Max, and start a trip around Greece, in order to find out how many kilometers would travel. This was the competition as well. Users had to predict the exact amount of kilometers Isuzu D-Max would travel. The user with the correct guess would win the fuel for his car for one whole year. The application of the competition urged users to invite their friends to participate, and to post their participation in facebook. Facebook campaigns, competitions and other applications, increase the target group of customers and potential sales through great publicity and spreadability of the facebook fan page or website. In intros.gr, we believe that neither design and development, nor the cost of such facebook applications should be an obstacle to any company's growth. We have the knowledge, the experience and the technology to implement any idea, so do not hesitate to contact us! We have proven that we can cope with challenges, providing our customers with the most attractive and effective solutions!